PLEASE NOTE: THIS WORKSHOP IS NOW COMPLETED. Please use the contact form and request to be alerted to the dates of the next workshop. 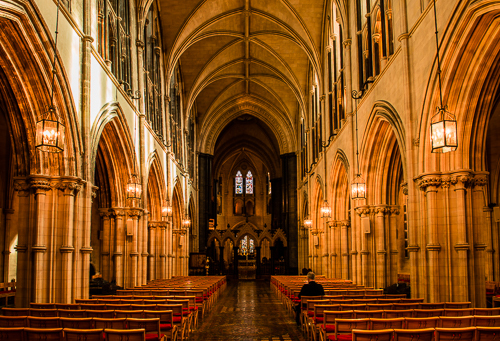 This workshop is based in Christchurch Cathedral in Dublin City. Running from 10:30am to 1:00pm, the Workshop will concentrate on Architectural and Interior Photography within the lovely location of the cathedral. This workshop is limited to 12 people and is suitable for beginners and enthusiasts. Tripod recommended but not essential. Workshop fee includes entrance fee to the cathedral.